According to tradition, when the apostles set off to spread Jesus’ teachings around the world, James headed to Hispania. The Breviarium Apostolorum of the 6th century, St. Isidore’s texts in the 7th century and the “Beato de Liébana” a hundred years later, place James in the Iberian Peninsula as an evangeliser. The best-known accounts refer to the visits he received from the Virgin Mary in Zaragoza and in Muxía, to comfort him when he was feeling discouraged. The appearance in Zaragoza took place while the Virgin was still alive and living with the apostle John in Ephesus. According to tradition, Mary appeared to him on top of a pillar, giving rise to the “Our Lady of the Pillar” shrine. On the other hand, the Marian appearance in Muxía combines Christian and pre-Christian elements: according to legend, when James was preaching in the northwest Iberian Peninsula, he felt anguished because of the lack of success in his evangelising mission. While praying on the seashore, he suddenly saw a stone boat, controlled by two angels, with Mary onboard. Our Lady encouraged him to continue with his work and gave him an image of herself, for which James raised a small altar underneath a rock. 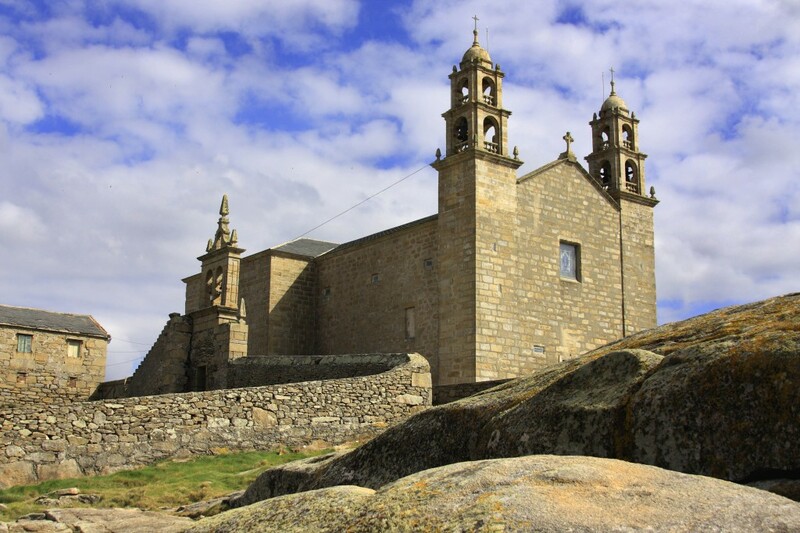 Many years later, the local inhabitants found the image and built a sanctuary right there, the Church of Nuestra Señora de la Barca, which is visited by numerous pilgrims every September. The stone boat was grounded and miraculous properties are attributed to its different parts (three stones representing the boat, sail and rudder).